Versus “wanted” fat, right? Not in today’s world I’m afraid. The only places we want fat are the places it disappears from first. Ah well, that’s another topic for another day. Today’s word is Ultrashape. Our client Dermatology Laser Vein Specialists of the Carolinas is always up on the latest in cosmetic and medical dermatology, and working with this newest treatment is no exception. While the UltraShape has been zapping fat in Europe, Canada and Asia since 2005, it was just cleared last spring by the FDA for use in contouring and reducing the circumference of the abdomen. UltraShape can target the fat without heating or damaging the surrounding tissue. Since the UltraShape process doesn’t harm any other tissues—e.g., blood vessels or nerves, there is minimal recovery time and bruising. Ultrasound allows for a painless experience— because the fat isn’t heated or frozen, patients have reported little to no pain. UltraShape allows patients to see results more quickly than other types of non-invasive body treatments like CoolSculpting. In as little as two weeks, many patients have seen results. 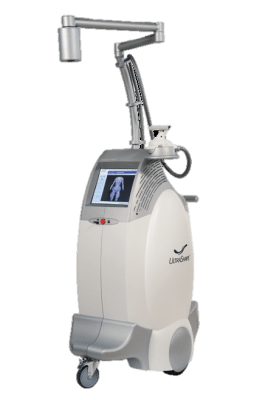 Ultrashape requires no medications or downtime. Ultrashape can be used on all skintones. How does it work? UltraShape uses the same ultrasound technology that’s used to treat kidney stones to break up fat cells into tiny molecules that are then processed by the liver and disposed of. Guided by a sophisticated 3-D computer mapping program, your DLSVC doctor will position the device to reach areas of belly fat and/or to create the contours you desire. In clinical studies, a series of three 45- to 60-minute treatments (each done about two weeks apart) resulted in an average of a 1.3- to 2.5-inch reduction around the waist. Like CoolSculpting, UltraShape is ideal for people who live a healthy lifestyle and are close to their ideal weight, but can’t seem to get rid of that last bit of stubborn fat in their abdomen. This is not a treatment for weight loss or significant fat removal. Most people need two to three sessions spaced 2 weeks apart to see full results. The cost per session at DLVSC depends on the treatment area and the time involved for treatment. Prices can range from $1000 to $2500 per treatment with up to three treatments necessary, depending on your needs. 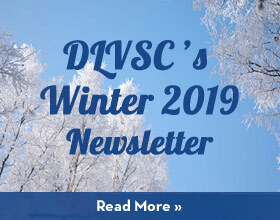 If you’ve been struggling to get rid of the little “pooch” or feel no matter how much more dieting, fat-burning cardio or ab work you do, you will still have “the belly,” give the folks at DLSVC a call. 704-375-6766. Today.